In the spring of 1996, a group of genealogists led by Jeff Murphy organized the Kentucky Comprehensive Genealogy Database Project, which evolved into the KyGenWeb Project. The idea was to provide a single entry point for genealogy data and research for all counties in Kentucky. In addition, the information for each county would be indexed and cross-linked to make it easier for researchers to find a name or data that they sought. In June 1996, as the KyGenWeb Project was nearing 100% county coverage, interested volunteers decided to create a similar set of pages for all states, establishing The USGenWeb Project. Bill Couch wanted to follow in the footsteps of the KY Project with a similar site for Arkansas. Jeff Murphy set up a main page for the states that included a template for volunteers to use. Announcements were made to genealogy mailing lists and newsgroups and news of this Project was spread by email and word of mouth. Volunteers were found who were willing to coordinate the efforts for each state, and additional volunteers were sought to create and maintain websites for every county in the United States. By July of 1996 most states were online with state homepages and most had several volunteers. There was a core group of people who got involved very early and were key to getting this new Project off the ground. It was these people who laid the groundwork for assuring the success of The USGenWeb Project. These people included Jeff Murphy, Dale Schneider, John Rigdon, Linda Lewis, Joy Fisher, Kim Harris Myers, Billie R. McNamara, Melissa Calhoun, Nancy Trice, Bill Couch, Betty Sellers, Jim Rothgeb, Deke Smith, Sharon L. Rowe, Mary Lynne Ellis, Edward Hayden, Richard Holler, Laura Cook, Gary Steiner, and Diane Miller. In October 1996, "The USGenWeb Web White Paper" was distributed world-wide by The USGenWeb Project. The purpose was to summarize the progress of the Project and to encourage additional people to volunteer. The "White Paper" serves as a very good historical outline of the Project's early days. Although The USGenWeb Project was originally designed to be organized by state and county, much genealogy data cannot be limited to a single county, or even a single state. So, USGenWeb Special Projects have evolved to collect and disseminate data that goes beyond county and state lines. The USGenWeb Project continues to evolve thanks to every past, present and future volunteer. Family Tree Magazine has named the USGenWeb Project to its annual 101 Best Web Sites for genealogy list for 2018. 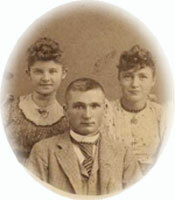 Featured as a Key Genealogical Site on the FAMILYSEARCH site of The Church of Jesus Christ of Latter-Day Saints. Education World chose The USGenWeb Project site as one of 20 awarded "Best of April" - April 1998. Global Information Network has chosen The USGenWeb Project website as a "Featured Family Site."